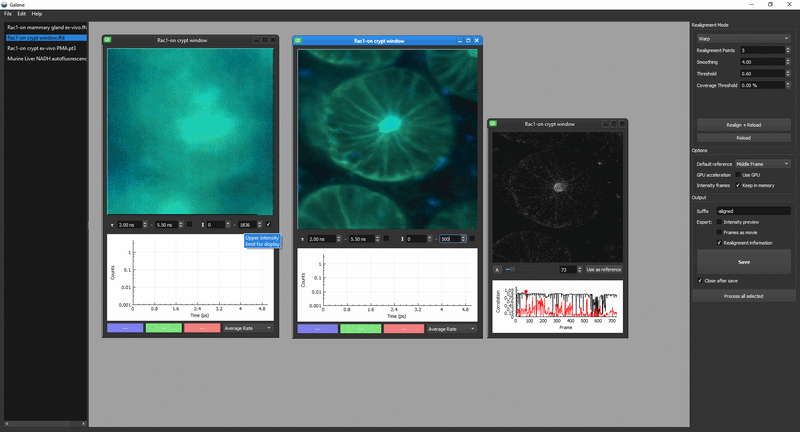 Galene is a tool to correct for sample motion in laser scanning fluorescence microscopy data, supporting both intensity-only and fluorescence lifetime imaging (FLIM) data. © Copyright 2018, Sean Warren. Revision cb1a3bcf.